This will be the last dollop of photos until mid-November, but if you’ve sent them to me, they will appear eventually. Today Reader Tony Eales from Brisbane has some great photos from Brunei. His notes and IDs are indented. So I went to Brunei as a paying volunteer on a taxonomic expedition with a group called Taxon Expeditions to spend 10 days in the rainforest at the Kuala Belalong Field Studies Centre run by the University of Brunei Darussalam. For me this was to be the macrophotography trip of a lifetime. Unfortunately my camera lasted all of one day. I managed to coax some more photos out of it by the last few days and of course I had my mobile phone but it was pretty devastating. I say devastating but of course I realise it was a great privilege to even get to go, and I had an unforgettable time. Camera woes notwithstanding, I amassed quite a few photos of the jungle wildlife that I’d like to share. Let’s get the boring old vertebrates out of the way first. 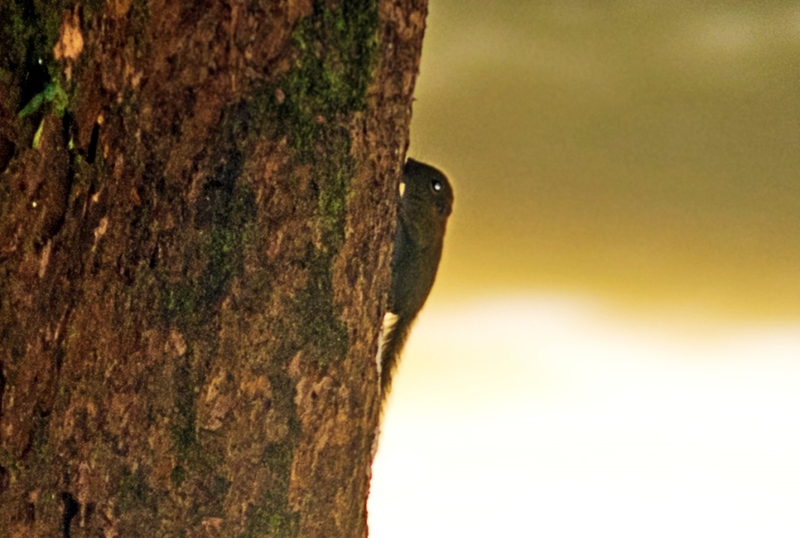 Mammals were thin on the ground with only brief glimpses of Long-tailed Macaques (Macaca fascicularis), the distant sound of gibbons, and regular evening microbats however on a tree near the dining room every day there was a frantic mammalian presence, a least pygmy squirrel (Exilisciurus exilis). There were a large number of reptiles and amphibians. The most common were various geckos. 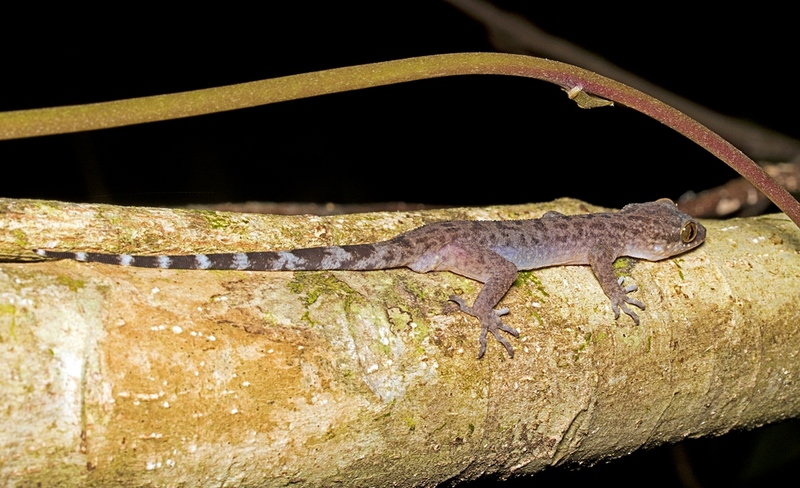 In the forests at night Cyrtodactylus pubisulcus (Grooved Bent-toed Geckos) were common. On the wall of the accommodation I saw this small gecko. 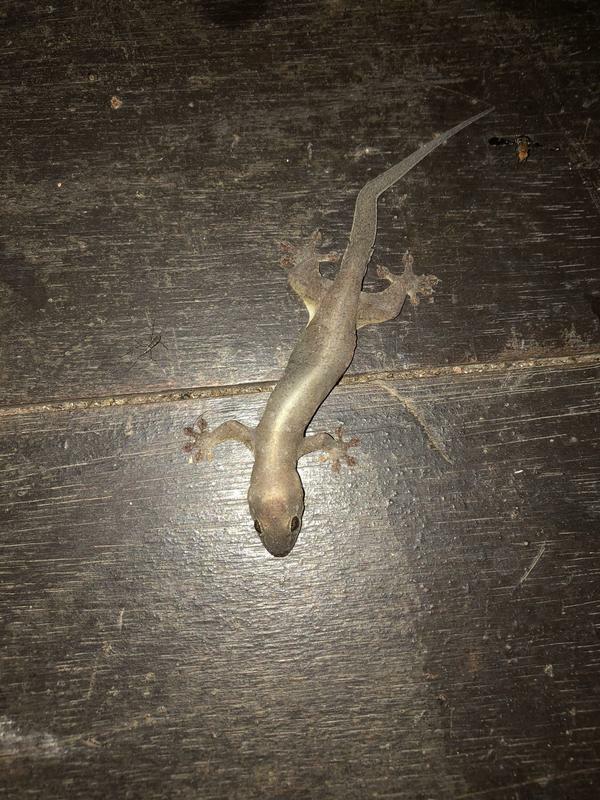 I would have just said Common Malaysian House Gecko (Hemidactylus frenatus), which are quite variable, but I’ve never seen one with the kind of webbing you can see between the belly and the thigh, so I’m not so sure. Near the kitchen lived a resident Tokay Gecko (Gekko gecko). This one however was caught in the forest by the visiting frog expert. 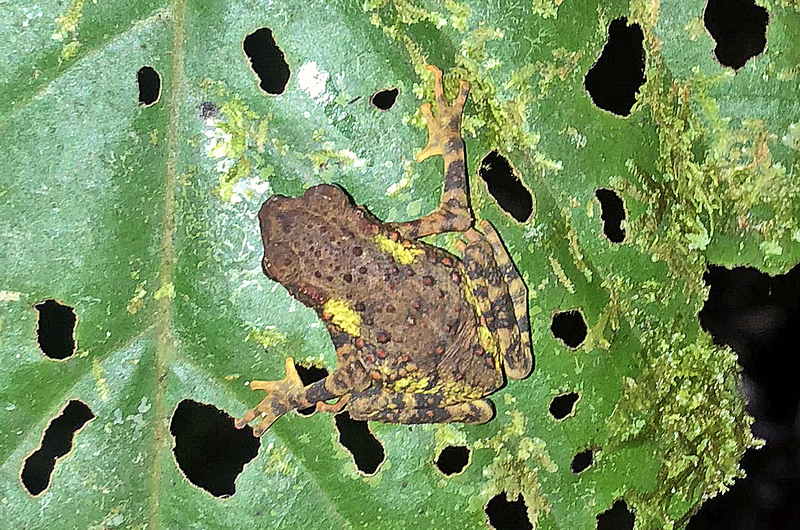 There was a small pond near where the water tanks were and this always had many File-eared tree frogs (Polypedates otilophus). A large spectacular frog that we also observed mating. 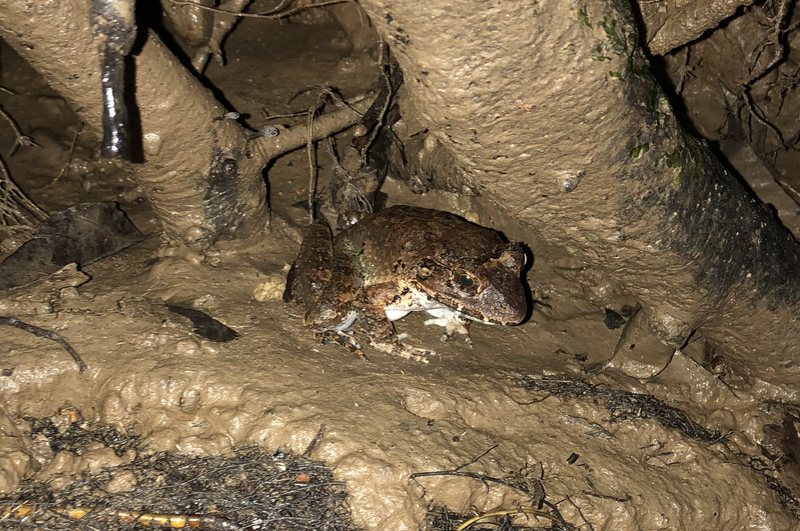 This entry was written by whyevolutionistrue and posted on November 2, 2018 at 7:30 am and filed under amphibians, mammals, photography, reptiles. Bookmark the permalink. Follow any comments here with the RSS feed for this post. Both comments and trackbacks are currently closed. Of the four unknown frogs, the last two look definitely bufonid, while the second one looks ranid to me, and less so, also the first. 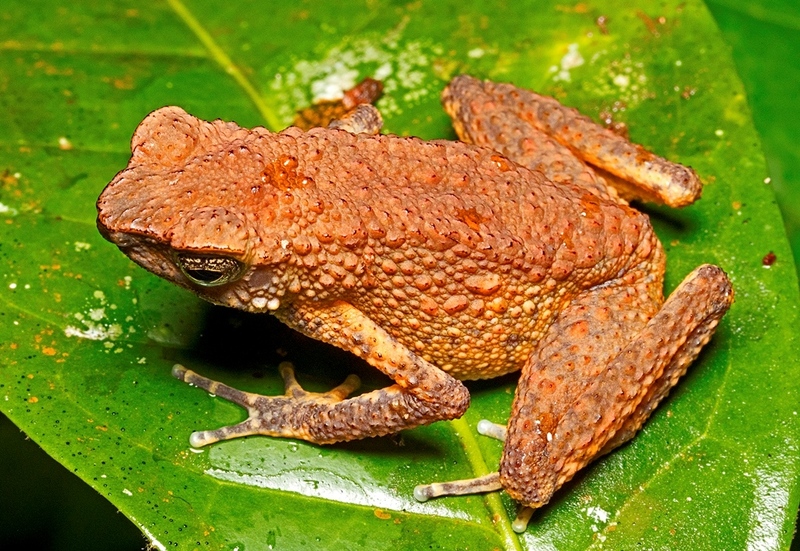 Bob Inger of the Field Museum has studied Bornean frogs for a long time and published several monographs on them. The 3rd edition of his field guide is in print, but I unfortunately don’t have a copy with which to check these photos. 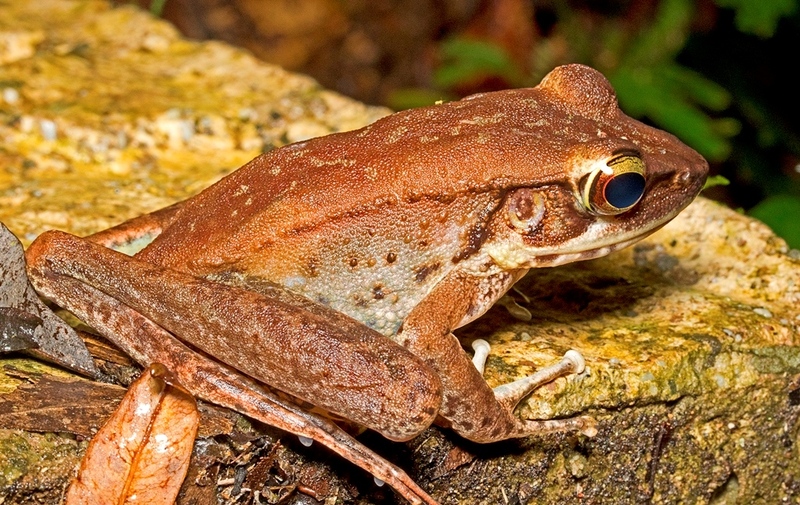 There is also a website called Frogs of Borneo, run by Alexander Haas and Indraneil Das, that seems quite useful. 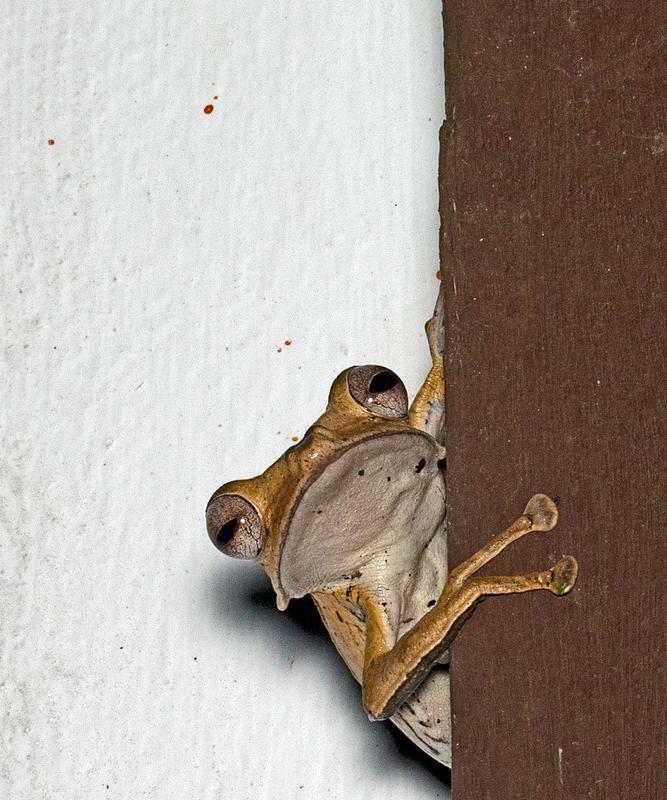 I think using this website you could figure out what these frogs are. Very cool stuff! Going to the tropics would always be a bit worrisome on high-end camera equipment, what with the humidity and all that. It’s amazing to think how diverse the world ecosystems are. 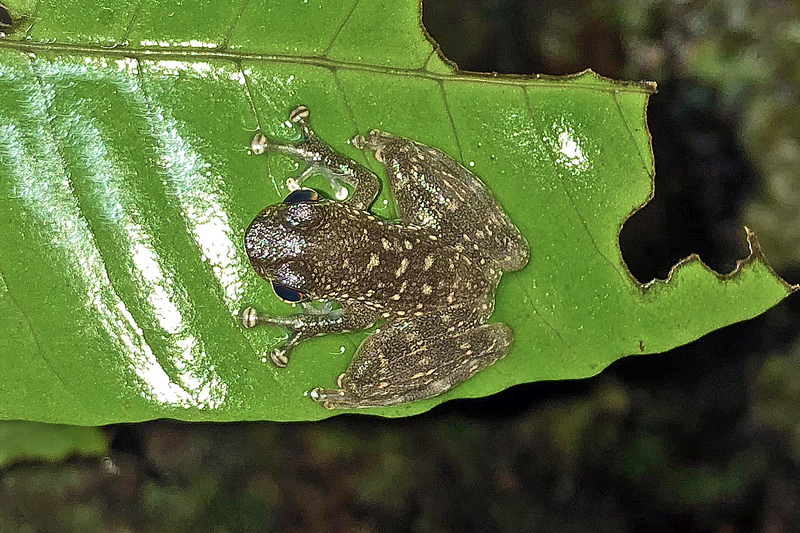 Few mammals, but tons of bizarre reptiles and wild looking amphibians! Other places are going to be just the reverse and others still, a mix. Thanks for sharing. Dunno about the rest of ya, but there are characters from books and movies and song lyrics that are every bit as real to me, play ever bit as outsized a role in my mental landscape, as the guys and gals I grew up with on the streets of my childhood neighborhood. You got some great shots on your expedition to Brunei in spite of camera fail. I cringed when you mentioned the camera letdown. My trip of a lifetime was a tour of Europe and the lens got dropped early into the trip. What a scramble to compensate and get decent photos. Thank you for sharing the photos and the notes. Splendid photos. 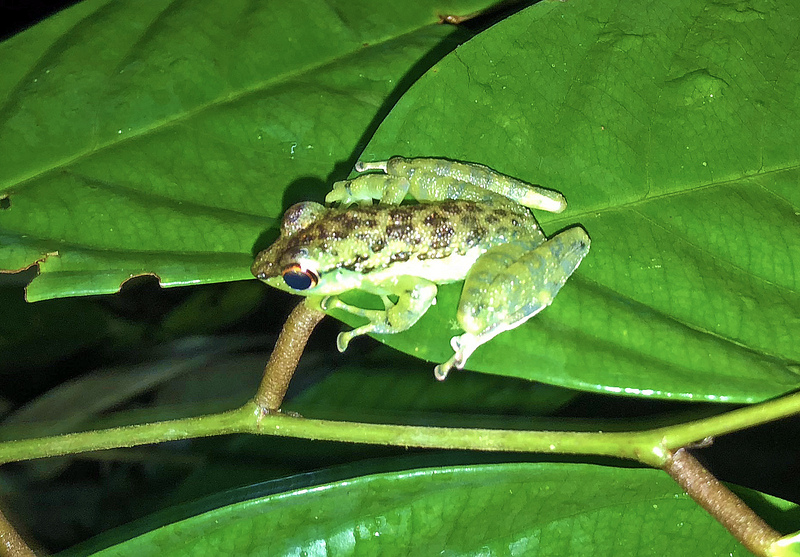 Around here, we have green tree frogs and that’s about it. 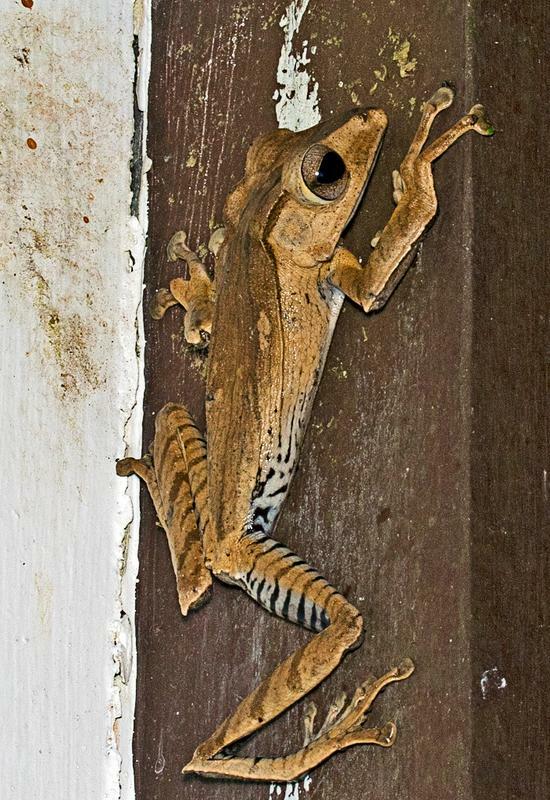 How fun to be amidst such a diverse population of amphibians. I love gecko’s (called ‘geitjies’ -little goats- here). 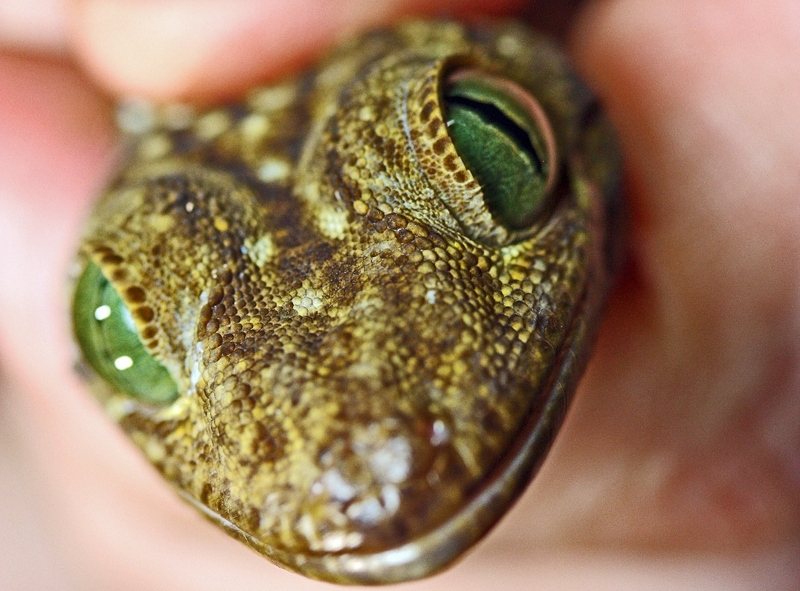 The toko gecko shocked me out of sleep in the Phillippines once, it is big and loud!